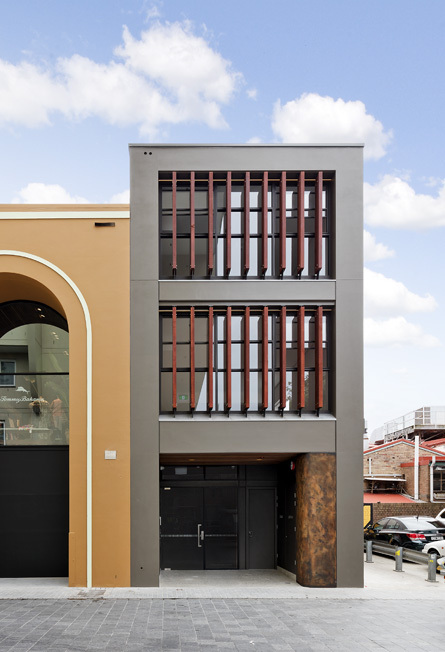 This building in prime Manly Corso location was a typical two storey retail outlet with a heritage listed façade to the Corso and underutilised first floor and rear of the property. 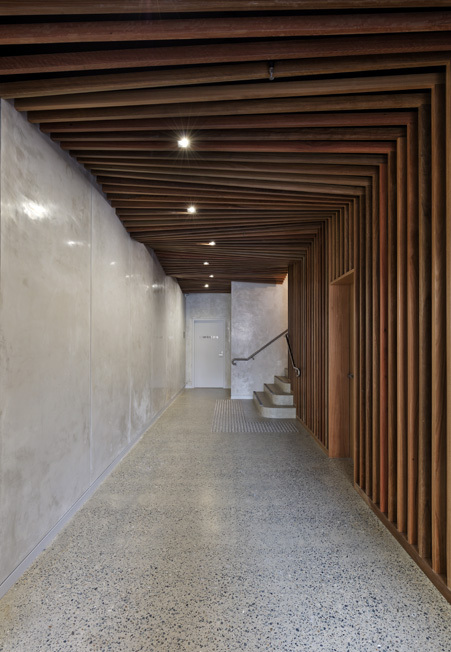 The design capitalised on the rear frontage to the lane by creating a second entry with a new address off Rialto Lane. 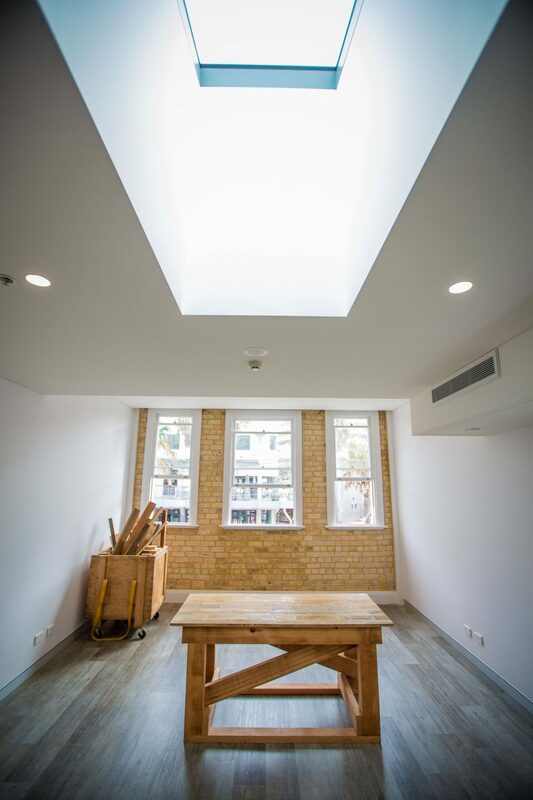 Commercial tenancies were achieved on the first and second floors. 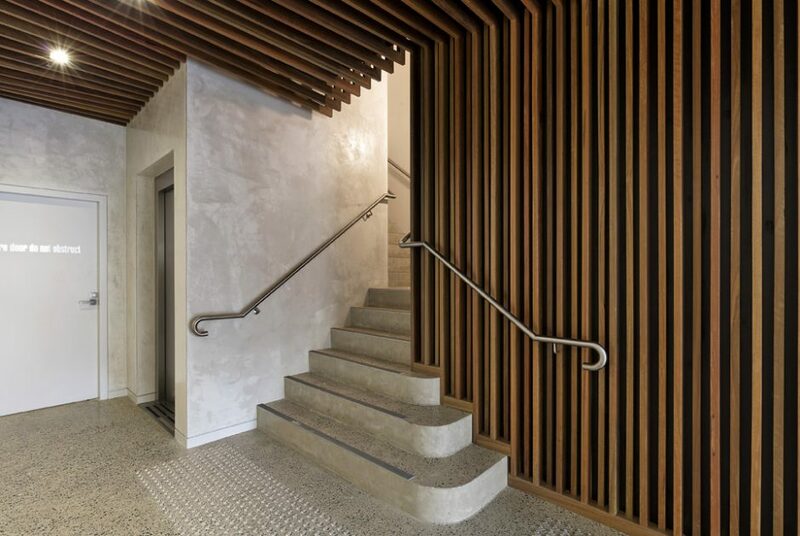 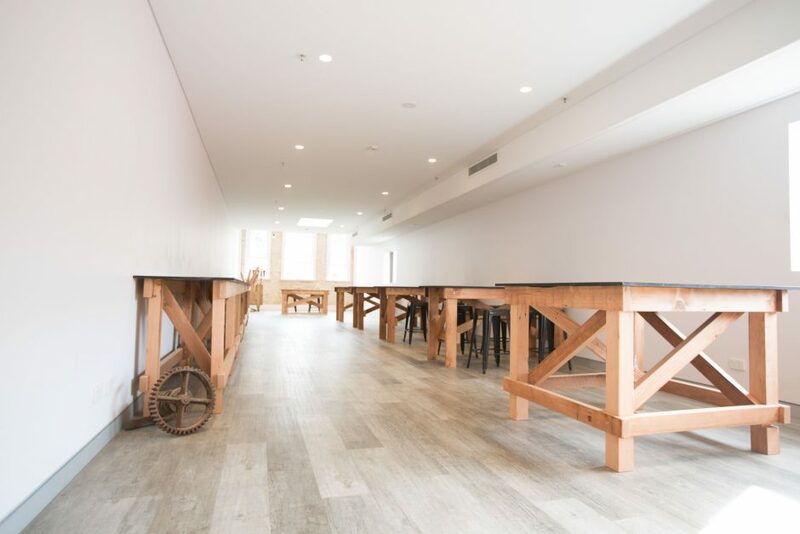 Negotiations with Manly Council eliminated on-site parking and the loading dock, freeing up space for the elegant commercial lobby that features an undulating timber batten ceiling and wall contrasting with an eggshell rendered wall opposite. 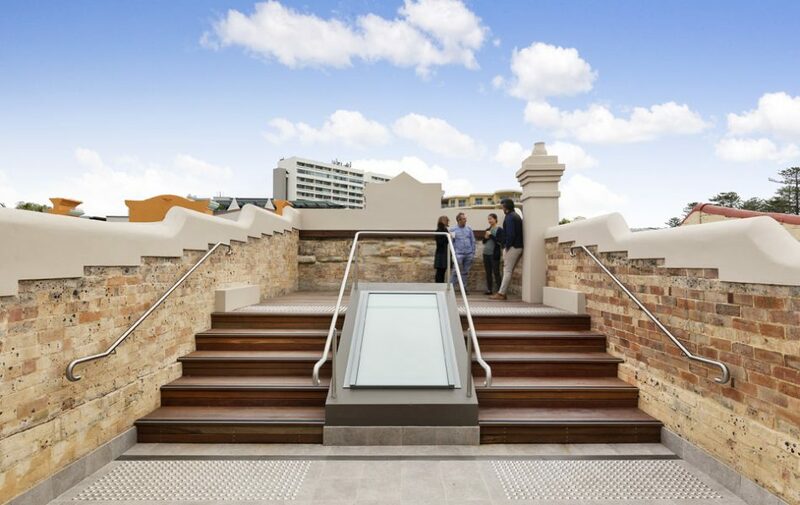 These boutique office spaces created a new benchmark for commercial returns in Manly and established an exciting precedent for Manly’s revitalised laneways.